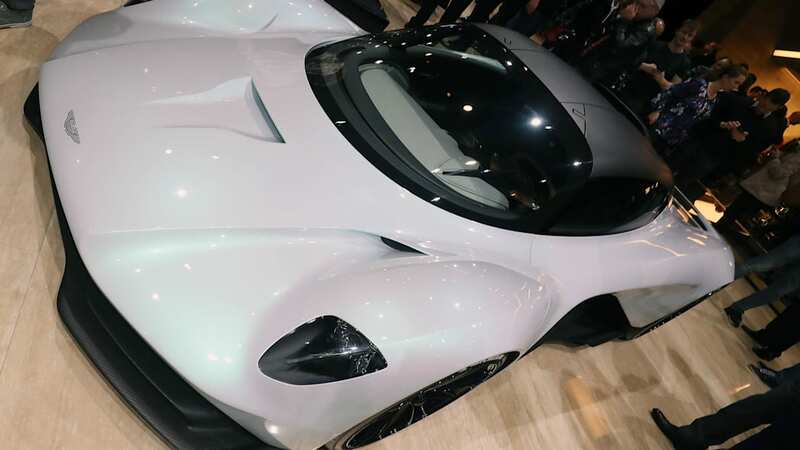 Aston Martin showed the as-yet-unnamed Project 003 hypercar at the 2019 Geneva Motor Show. Now that the English carmaker is accepting deposits for the coupe, it has provided dealers with brochures for prospective customers. Two of those prospective customers let Carscoops and Diario Motor flip through the pages and see what the fuss is about. Each site words some of the specifics a bit differently, which we're not sure is down to the language in the brochure or the way it's written up. 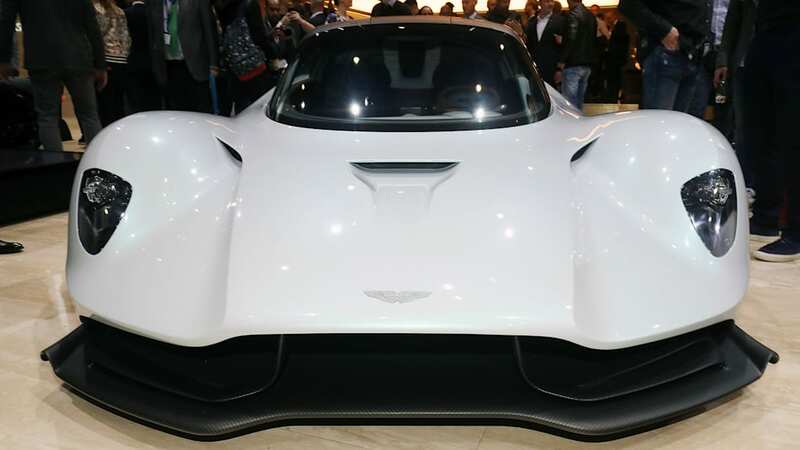 Carscoops says Aston Martin's targeting a combined 1,000 horsepower, DM says there will be 1,000 hp. Either way, it's a pleasant ballpark to play in. We say "combined" because there will be a brand new twin-turbo V6 in back and an electric motor on the front axle. The duo means all-wheel drive in addition to that potential four-figure horsepower. 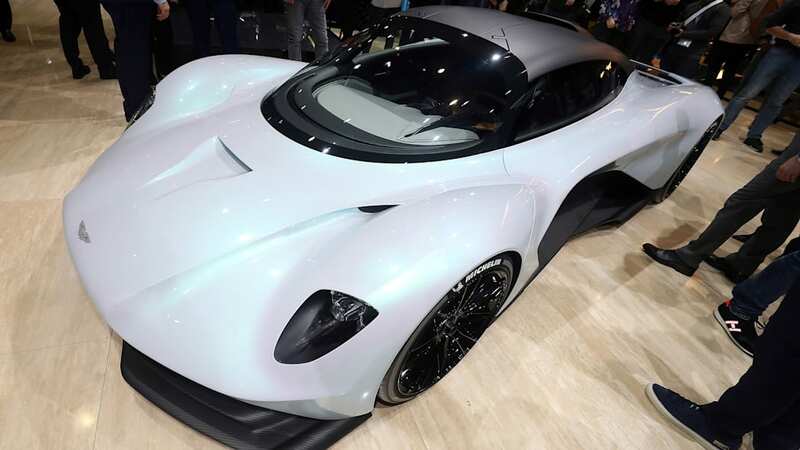 If Aston Martin does hit 1,000 ponies, that would put the "son of Valkyrie" just behind the Valkyrie, which makes all of its 1,160 hp with a naturally aspirated 6.5-liter V12 built by Cosworth. The brochure says dry weight will come in below 1,350 kilos, or 2,976 pounds. 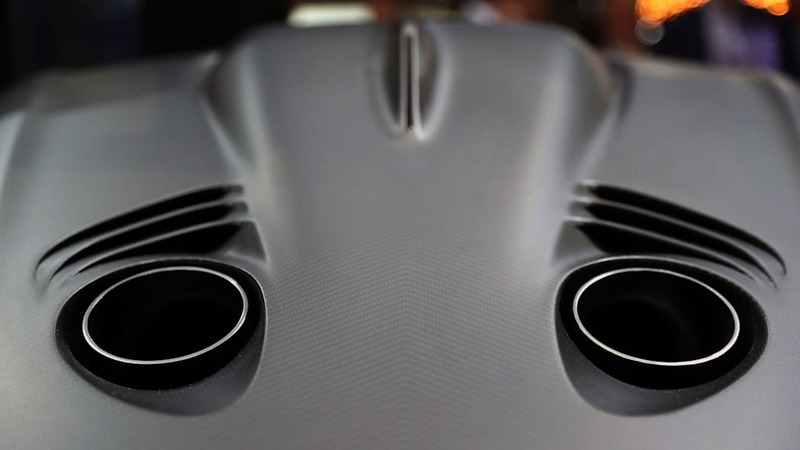 The brochure also asserts a power-to-weight ratio of 750 bhp per tonne. Working backward, that ratio would mean 1,012 hp if the 003 came in right at 2,976 pounds. 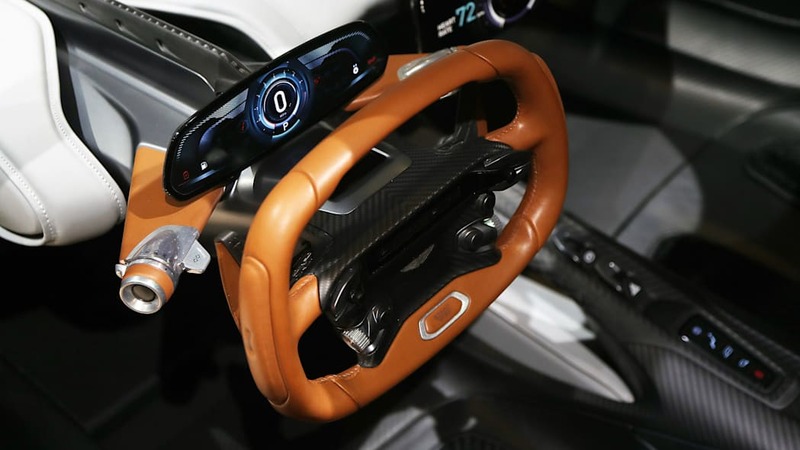 Shifting through an F1-inspired eight-speed dual-clutch gearbox, the carmaker expects a 0-60 time of "less than 2.5 seconds," to be expected for a car about 100 pounds heavier than a McLaren 720S with at least 200 more horsepower. 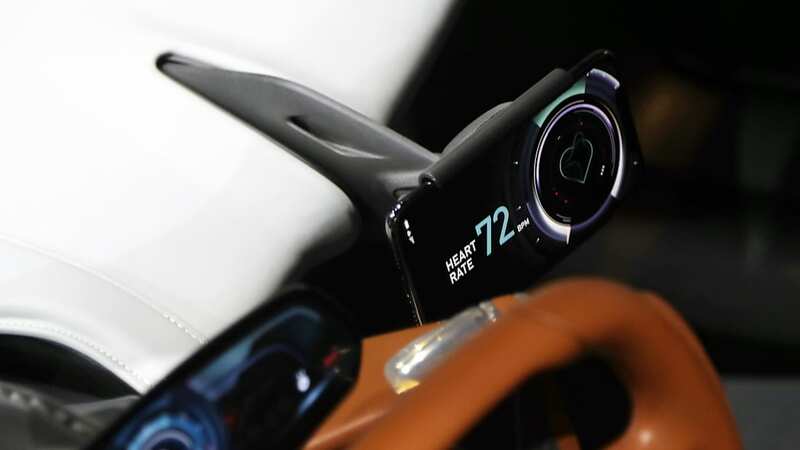 And according to Diario Motor's telling, top speed will crest 350 kilometers per hour, or 218 miles per hour; Carscoops says terminal velocity lies beyond 220 mph. Lots of Valkyrie tech will be adapted for the junior coupe, including the active suspension and active ride height, as well as platform control. A limited-slip differential will keep the back end in line with what we're sure will be fancy electric motor control on the front axle. 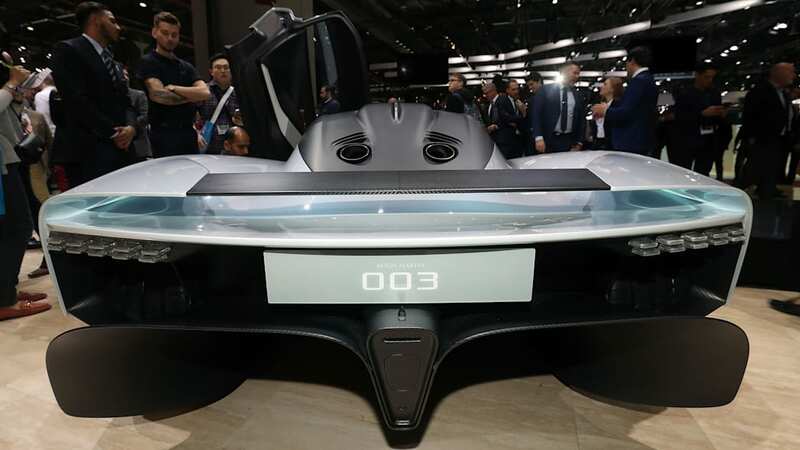 Seems all that was said about the sci-fi cabin — which TopGear magazine's Jack Rix showed us recently — is that ingress and egress will be less challenging than on the Valkyrie. 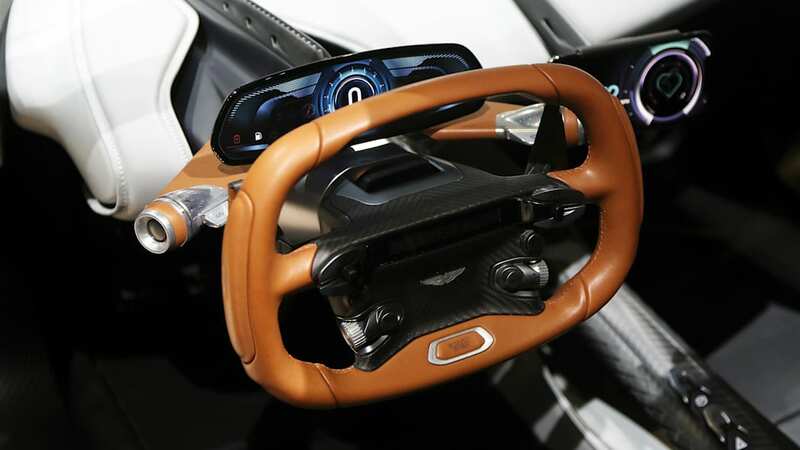 Only 500 units will leave the factory, in both left- and right-hand drive, deliveries to begin in 2021. American purchasers will need to leave $300,000 with their dealers to hold a place in line. Those monies will be applied to an MSRP that starts "at no less than £875,000" before options, or roughly $1.2 million in green money.